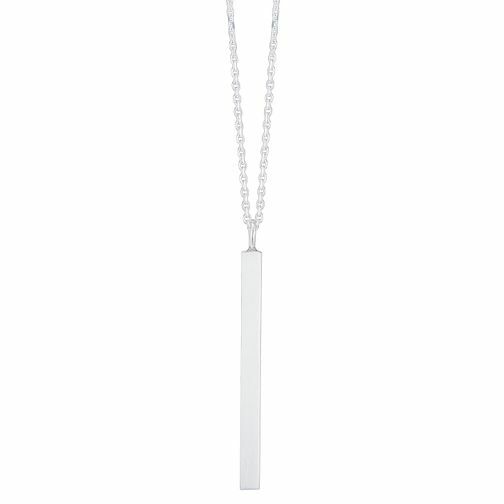 Silver Engraveable Long Bar Pendant is rated 4.0 out of 5 by 1. Rated 4 out of 5 by Anonymous from Very nice simple piece This necklace is very simple yet elegant. It is slightly smaller than expected and don't think it is big enough to engrave, however still a lovely piece and I am very pleased with my purchase.